Captain America will return in 'Avengers: Endgame,' in theaters April 26! True Believers, I know we all have our favorite Marvel Cinematic Universe moment—the scene that we can definitively say yes, that's THE one. As we near the April 26 release of Marvel Studios' "Avengers: Endgame," we have a little over a decade of moments and scenes we can easily pull out of our pocket. In another "Fishing For Answers" segment with The Hollywood Reporter, Captain America himself, Chris Evans, was asked, "What's one of your favorite scenes from all the Marvel movies?" Evans chose one of the most iconic moments from "Captain America: The Winter Soldier." Speaking on the scene that instantly came to mind, Evans said, "I'm partially to that fight scene in the elevator." "That was the first scene we shot in the second 'Captain America' movie," continued Evans. "It was my first time working with the Russos. It was the first time where it felt like Cap was kind of on his own. The first 'Cap' movie, you know, it really felt like everyone was holding my hand. The first 'Avengers' movie, I just did my best to not get in the way. 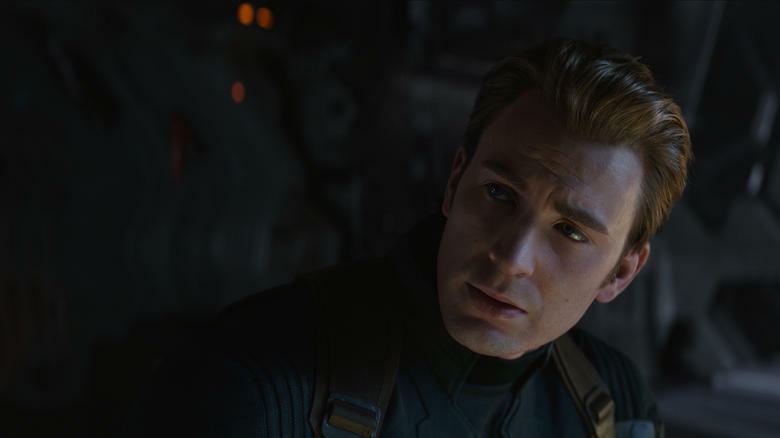 The second 'Cap' movie is really the one where I kind of felt, I supposed, pressure and that first elevator scene came out really great in my opinion." You can learn more about Captain America's fighting style in this featurette from "Captain America: The Winter Soldier" below! "Avengers: Endgame" arrives in theaters on April 26.